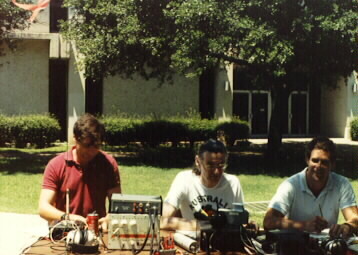 The University of Texas Amateur Radio Club (W5EHM at the time) set up a portable operation on the University of Texas at Austin campus in 1986 for Field Day in 1986. 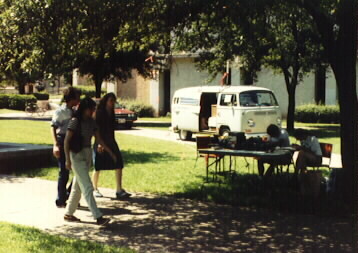 This was a short distance from its Ham Shack at the time. 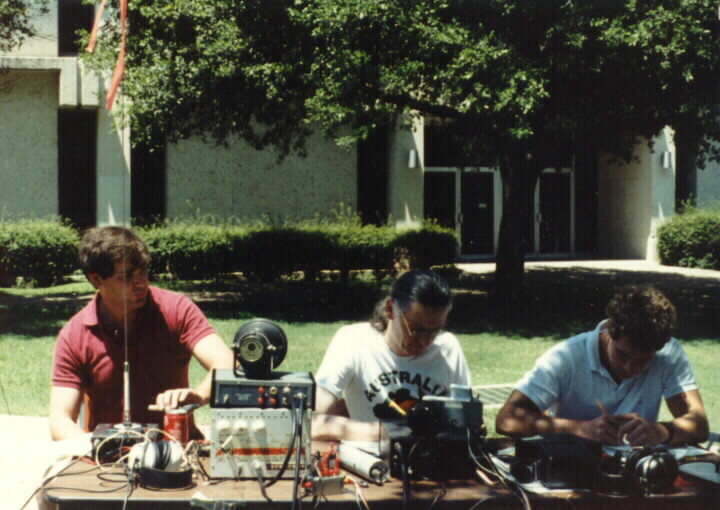 Curt Black (WR5J), Derek Wills (AA5BT) and Kevin Mandaville (KT5I) manning the station. 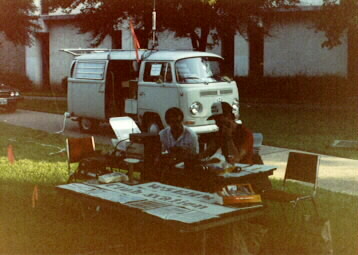 Curt’s VW RV supported an HF vertical. 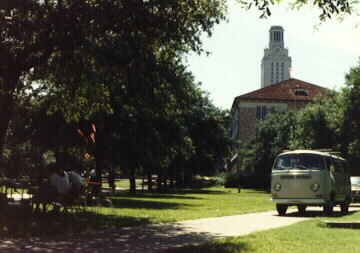 The iconic UT Tower in the background. 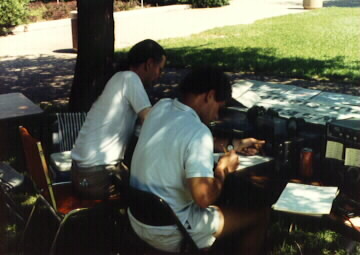 Each of these guys at some point served as club officers. 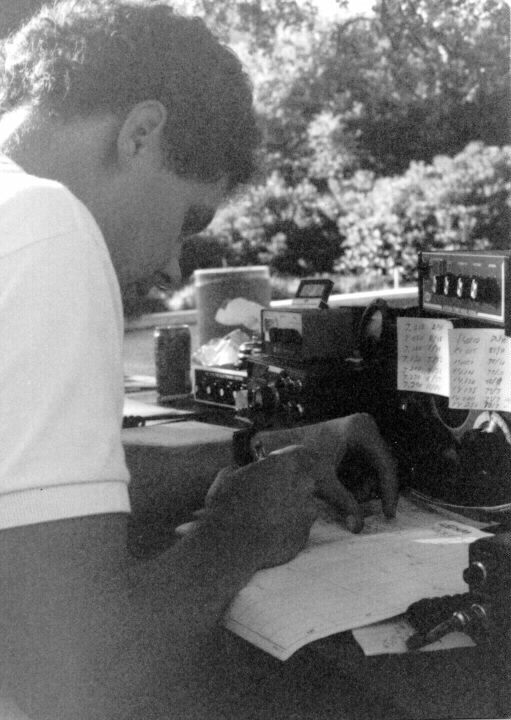 Some signage and flyers were laid out for those interested in learning more. 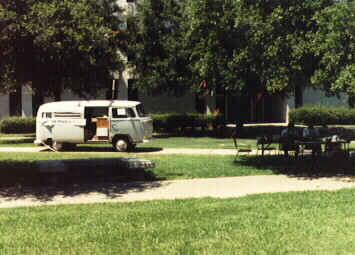 A little bit of foot traffic came by now and then, but it was far from the busiest part of campus.